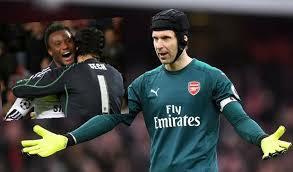 Mikel Hails Cech After Retirement Call – Royal Times of Nigeria. The 36-year-old lost his starting place to Bernd Leno at the Emirates Stadium this season and, after a 20-year playing career, opted to quit playing second fiddle to the German shot-stopper. Mikel who is poised to rejoin a new team after mutually terminating his deal with Chinese Super League side Tianjin TEDA, however, wishes the Blues legend the best in his endeavours.